Together since 1981, Southern New England’s Idlewilde knows its way around the blues. Though I’m aware they’re a group of top-shelf musicians with good day jobs, if I hadn’t known otherwise before being handed this CD, I’d’ve pegged these guys as full-time blues cats. 90 Proof is a fun, diverse collection of rock and blues songs that, after just a few listens, quickly became an old friend (as a blues album should). Featuring Dale Binsberger (bass, vocals), Jon Gould (lead guitar, vocals), Ryan Snyder (drums, vocals), Phil Spillane (guitar, harmonica, vocals), and Denny Hartzell (“all things keys”), Idlewilde delivers grit and growl that lets you know these guys are blues veterans. I’m a big fan of the bit-by-bit album opening, and Idlewilde leads with instrumental “Bodeca,” whose sparse intro gives way to blistering guitars, a pulsing, catchy rhythm, and playful blues organ. “Trouble,” which features a truly gravelly growl and harmonica opening, settles into a groove that recalls a bit of “Cheap Sunglasses”-era ZZ Top. And in that vein, the album continues, a club-rocking mix of blues and blues rock that I’m sure translates well to live performance and produces a rousingly fun night for local clubgoers and is well-represented throughout this disc. There are a few other songs well worth mentioning in this collection. Musicians, for example, are likely to most appreciate the energetic “Telecaster,” an ode to a bluesman’s beloved axe. Perhaps the most soulful blues song on the disc is “A Darker Shade of Blue.” You may find yourself listening to that one with your eyes closed and your head swaying. My favorite song on the album is probably “Damn That Rock & Roll” because it’s just so blue. Great organ opening combined with soulful harmonica, a blue beat, and anguished, all building to climax ever-so-slowly. It’s a smoky barroom-flavored, cascading, classic soulful blues number. And the second of the two “bonus tracks” that close the disc, “The Whiskey Song,” is an old Irish drinking tune that sounds like it was a lot of fun to record. 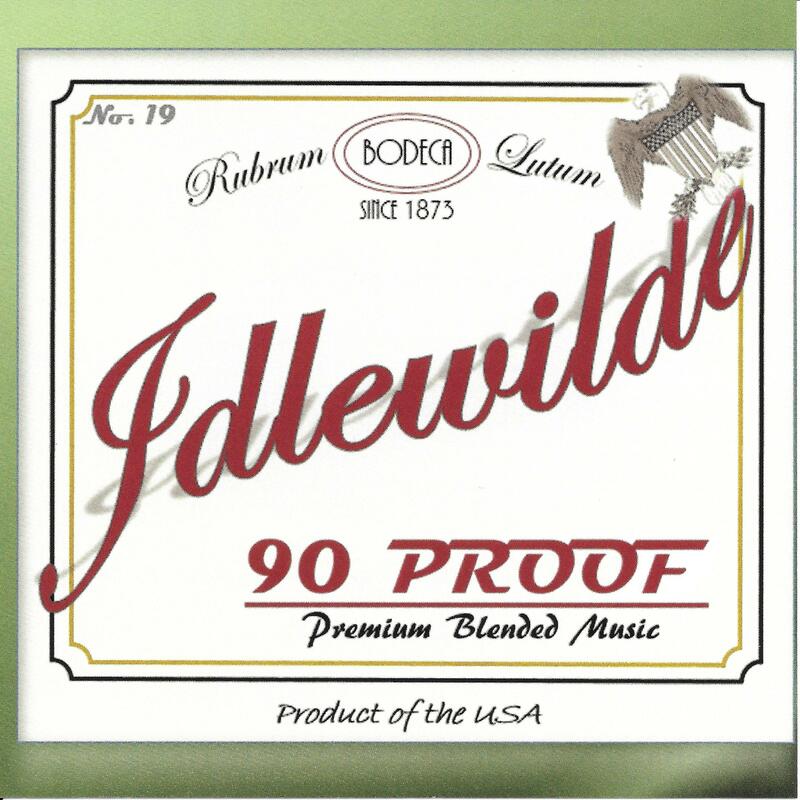 Idlewilde is, indeed, a longtime favorite “’round these parts,” and with 90 Proof delivers a solid album showcasing plenty of blues-based variety for broad appeal. I’d also consider it proof these guys must put on an energetic, fun live show, one I look forward to catching when the opportunity arises. This entry was posted in Album Reviews and tagged Album Review, Geoff Wilbur, Idlewilde. Bookmark the permalink.